Figure 1 shows the Straightpoint LLC load cell used to measure forces during the Ascent event at the 2017 ITCC in Washington, DC. Tree climbing is an inherently dangerous task. Working at height is dangerous by itself; but add the use of sharp cutting tools and rigged pieces of wood to the job, and it’s not surprising that our industry has a comparatively high incident rate. To increase safety while climbing, climbers must choose a tie-in-point (TIP) that can bear the loads applied as the climber ascends and then works in the tree. Failure of the TIP isn’t an everyday occurrence, but it has happened, even during an ascent. To reduce the likelihood of failure of the TIP, climbers attempt to assess its load-bearing capacity by visual inspection and performing a “bounce test,” but very little research has explored the likelihood of TIP failure. In 2017, at the ITCC in Washington, DC, I measured forces at the TIP during the “Ascent” event – this is the event that replaced the secured footlock. From the measurements, I wanted to learn how large were the forces at the TIP, what was their frequency of application, and whether they differed among different ascent techniques that competitors used. Most competitors used two foot ascenders, but some footlocked and others used a single foot ascender. To measure forces, the team running the Ascent event installed a load cell between the anchor point on the tree and the rigging hub that climbers attached their lines to. The load cell (Figure 1), made by Straightpoint LLC, measures the force 100 times each second, so it’s possible to obtain a detailed record of the forces throughout each competitor’s ascent—this is called a force time history. 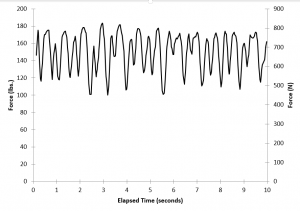 Figure 2 shows the force time history for a ten second segment of one competitor’s footlock—it might remind you of an EKG. The time history shows a series of peak forces as the climber extended their body upwards after locking the rope with their feet. The peak forces occur at regular time intervals, which describes the frequency of peak forces, that is, how many peak forces occur in a specified time interval. Using two foot ascenders applied about the same force as footlocking, but at twice the frequency—twice as many peaks in the same time interval. Figure 2 The black line shows changes in the load on an anchor point during ten seconds of an ascent. To assess the likelihood of failure of a TIP during an ascent, we need to know both the amount of the peak force, and how frequently it’s applied. The reason for this is because as its loaded by the ascending climber, the TIP bounces up and down. The interaction of the repeated application of peak loads with the natural tendency of the TIP to respond by bouncing may cause the effect of the force to be multiplied. This means that even if the peaks are well below the load-bearing capacity of the TIP, the bouncing action can increase the likelihood of failure. In general, peak forces were about 1.3 – 1.4 times body weight, and, depending on how long the ascent lasted, there could be 20 – 50 peak loads in total. This type of loading on the TIP is very different from slowly applying a force with a winch to a branch to measure attachment strength of branches, indicating that future experiments should consider applying forces to the TIP that would mimic the forces applied during an ascent. This work wouldn’t have been possible without a John Z. Duling grant from TREE Fund, which paid for the Straightpoint, LLC load cell. One of the limitations of the data collected at the ITCC is that the TIP was atypically large (which was a necessary safety precaution when more than 60 competitors would be ascending during the event). To address this limitation, and using the same Straightpoint LLC load cell, I am currently measuring forces during ascents on TIPs of typical size. And I plan to repeat those measurements when the trees are leafless to see how much of an effect the leaves have on damping the bounce motion of the TIP. With funds from the Duling grant, I also purchased two Straightpoint LLC “Impact Blocks”—arborist rigging blocks with built-in load cells—to measure forces in rigging systems, which I have been doing this summer. I think these projects, and others I’ve worked on that TREE Fund has previously supported, will help arborists work more safely, and I’m grateful for TREE Fund’s support. Kane, B. 2018. Loading experienced by a tie-in point during ascents. Urban Forestry & Urban Greening 34:78-84. Kane, B. 2018. Understanding the likelihood of failure of an anchor point during an ascent: Part II. Arborist News 27(2):56-57. Kane, B. 2018. Understanding the likelihood of failure of an anchor point during an ascent: Part I. Arborist News 27(1):58-60. Dr. Brian Kane is the Massachusetts Arborists Association Professor of Commercial Arboriculture at the University of Massachusetts – Amherst. He has published over 50 scholarly papers, most of them have considered topics in arboricultural biomechanics and tree worker safety. He previously served on the ISA’s Board of Directors and currently chairs the Nominating and Elections Committee. Before joining academia, he worked as a production arborist and he maintains his ISA Certified Arborist credential. He has competed in several regional tree climbing championships, placing 4th in New England in 2006. See Dr. Kane’s research supported by TREE Fund. Watch Arboricultural Biomechanics, a 2018 TREE Fund webinar featuring Dr. Kane.